Was previously part of a mysterious hyper-sonic jet project, which was shut down. Erik is the team’s drones and vehicles technology specialist. He is committed to the exploration of sustainable technologies in a huge variety of fields, using different techniques and materials to improve our lives – from cleaner transport, to non-toxic cleaning products, to production of energy. He is particularly interested in the development of green, powerful vehicles. Erik’s expectation is that his work will bring innovation and changes in daily life of similar magnitude to the “information technology” explosion over the last two decades. In these early stages, it is impossible to predict what “green technology” may eventually encompass. His revolutionary designs and ideas will fuel the future of green technology. With his particular passion being in vehicles, Erik has developed a huge number of the green vehicles which transport the Captain Euro Team around. While a lot of these designs are still in the prototype phase, some of his more finished ideas (particularly aircraft designs and technologies) have been sold to other companies to promote sustainable transport. He has also developed many “cradle to cradle” designs and products which can be fully reclaimed or re-used; reducing waste and pollution by changing patterns of production and consumption. Erik is often jokingly called the “ideas guy” by the rest of his team, as he is bursting to the brim with crazy ideas to change the world. On more fitting occasions, he is often called the “crash test dummy”. He very often serves as the primary test subject for the majority of his designs, and over his time has seen quite a few near-fatal accidents. But he always gets up, and tries again! Erik’s greatest strength is his ability to combine his immense creativity with his technical and engineering knowledge. His role on Captain Euro’s team, allows him to combine these two skills to great effect. 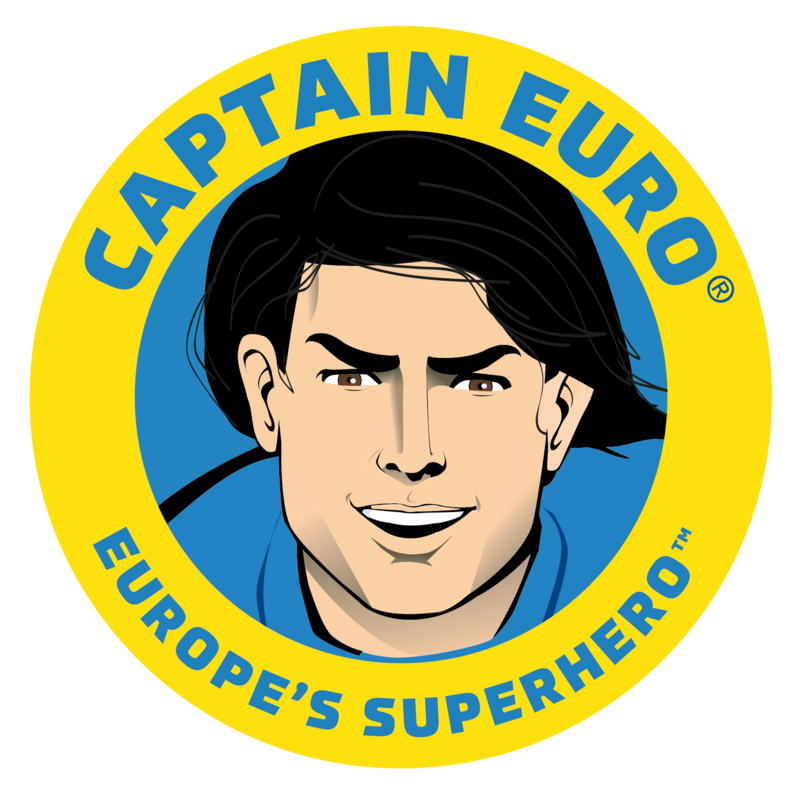 Many of the greatest green inventions behind Captain Euro’s team were dreamed up by Erik. Erik’s contributions to science have been acknowledged and lauded, repeatedly, with honorary degrees and awards that include the European Medal of High Tech, the Order of Genius, The Nobel Prize, the Gold Mercury Award and the Great Star of Transylvania. His skills with creating vehicles and technologies are his most commonly awarded achievements. Erik is a dreamer and loves the novels by Jules Verne. He adores stories which combine science with imagination to dream the impossible and create a path to a fantastic future. Erik is constantly devising new schemes and plans for vehicles, buildings, and the future of mankind. Hardly any of these plans see the light of day, but Erik’s hyperactive energy and vision means that the ones which do are often revolutionary and remarkable. 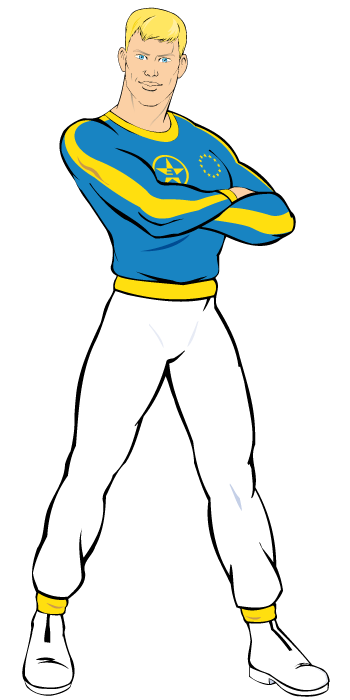 The team often try and avoid talking to Erik about his plans and dreams, due to his easily-excitable nature. These conversations with him often lead down a rabbit hole of endless detail and chattering. Luckily, it is a mostly endearing trait. He has an infectious energy; but such relentless force can get tiring! He is probably the most intense member of the Captain Euro Team. He never shuts off. Erik’s career actually started out developing military technologies, but he eventually left that as he despised the attitudes and the thought that his designs may be used to harm others. His last project, before joining the Captain Euro Team, involved the development of a new hypersonic commercial jet to replace the aging Concorde; a top-secret project for an undisclosed government. The experimental plane could reach Mach 6 (around 4,500mph) and was capable of travelling from London to Sydney in just over 2 hours! The project was mysteriously shut down after the premises were raided by unknown, large group of assailants, and many plans and designs were stolen. Nobody knows what happened to the prototype, or what became of the project.